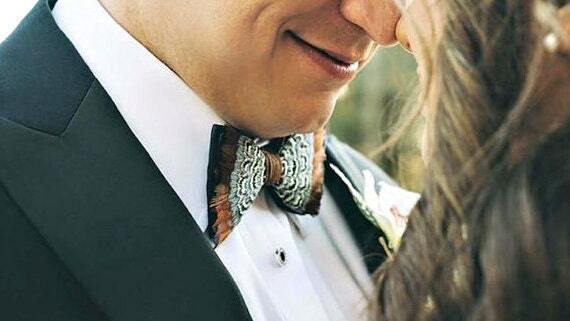 HAMPTON COURT Pheasant Feather Bow Tie. 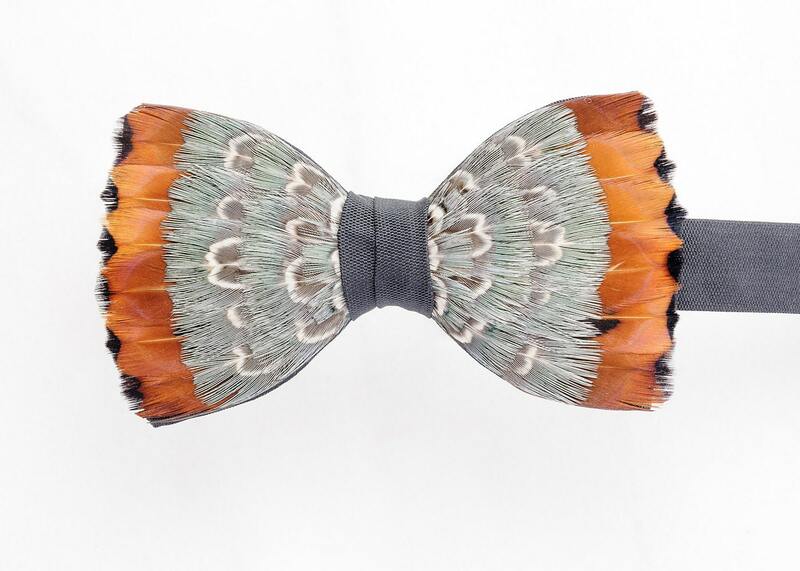 With its blue-grey and orange-brown natural feathers, this Hampton Court inspired natural pheasant feather bow tie design, by plumassier artist Tracey Telford, provides just the right style foundation to always leave you feeling like royalty. The Hampton Court design shown is set set on a quality 100% luxurious black silk base however, being individually hand made, it can be made available on quality black satin. A range of others base colours can also be selected, including changes to the centre ring, to align with your preferred design aesthetic.